NO EMERGENCY FEES! WALK-INS WELCOME! 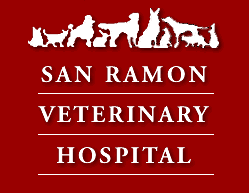 San Ramon Veterinary Hospital is here to provide your pet (s) with complete emergency care during regular business hours. Please call ahead at 925-837-0526 if your pet needs emergency care. Calling ahead will alert our staff to the nature of your pet’s emergency and will help us prepare to meet you when you arrive – saving valuable treatment time when every minute counts. Pets with a life threatening situation will be treated immediately. Pets are treated based on the seriousness of their condition and arrival time. Appointments are not required for pets that are in need of urgent care. You’ll be safer, and it will minimize the stress on your injured or sick pet. Most of all breathe! We understand that it’s a stressful time. We’ll do all we can to make you and your pet comfortable.